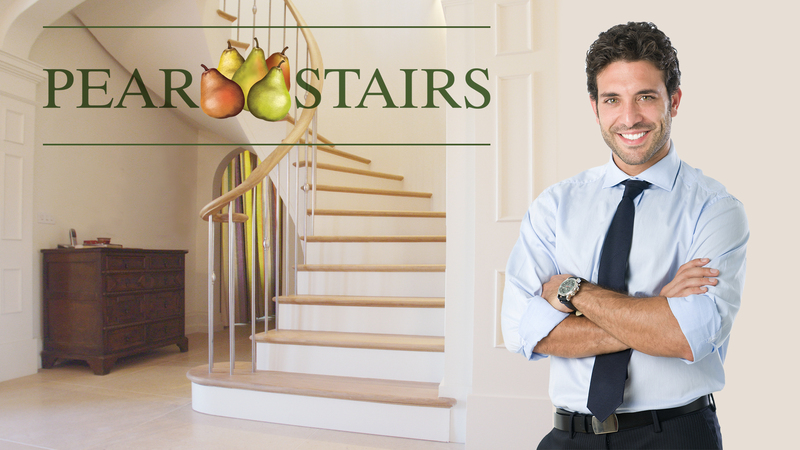 Why Buy A Glass Staircase From Pear Stairs? all made to measure. We can combine glass with wood or metal in all sorts of different sizes and configurations, so have a look through our Case Studies section for some inspiration. Installed in a high-quality barn conversion, this beautifully crafted single winder American white oak staircase with glass balustrade leads to a substantial gallery landing. The feature D-end step at the foot of the stairs has been left uncarpeted for additional impact. Toughened glass panels are secured to square newel posts with stainless steel clamps, which are topped off with pyramid newel caps. Take a look at Case Study no. 579 for more pictures and design drawings. The customer asked for a wow factor, so our designers came up with an American white oak staircase with a bullnose on a large D-end step, with glass balustrading throughout. For something a little different we followed through the glass on to the risers to give an 'open riser' effect and encourage light flow around the hallway. We finished off with square newel posts and pyramid newel caps, proving that less is quite definitely more. More drawings and pictures are available in our Case Studies section - look for no. 507. Our team designed this stunning contemporary staircase with American white oak open treads and 13.5mm toughened and laminated glass panels, which were attached using cutting-edge style stainless steel discs. The handrail and newel are also in oak. A powder-coated spine made from mild steel runs underneath to support the stair structure. Take a look at Case Study no. 4 to see more photos and drawings. Many more glass stairs are featured in our Case Studies pages. Just type 'glass' into the search box for a whole host of examples, photographs and design drawings, as well as testimonials from satisfied customers.